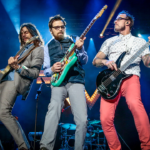 Weezer played “Buddy Holly,” “El Scorcho,” and “Africa” while on set for Jimmy Kimmel Live on June 13th. 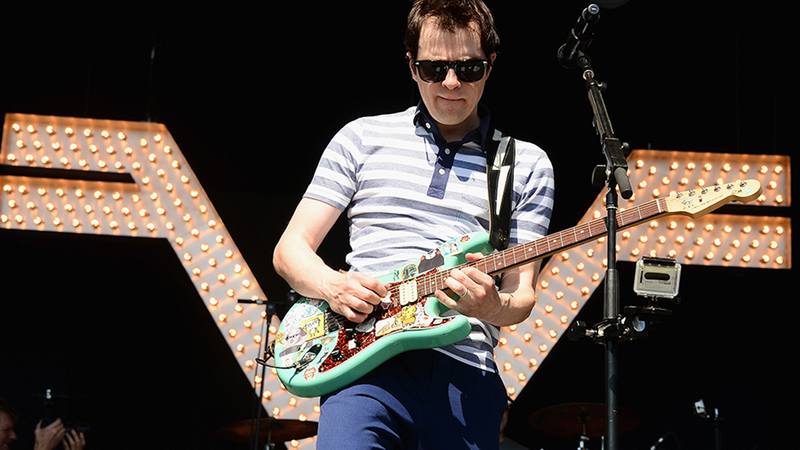 Watch Rivers Cuomo perform some of the band’s classics right before his birthday (June 13th.) Also, during the “Africa” performance, there was a special surprise when Toto’s Steve Porcaro jumped on stage for the keyboard solo. The Smashing Pumpkins appeared on The Tonight Show Starring Jimmy Fallon on June 12th. They played “Solara” that was released June 1st, and “Zero” from their 1995 album Mellon Collie, and the Infinite Sadness. “Solara” is the first new release by the Smashing Pumpkins in 18 years. They also are just beginning their North American Tour! Check out their website to find shows near you. The Smashing Pumpkins play with Beefy Slinkys and Not Even Slinkys. The Frights have released the Official Music Video for their single, “Crutch.” “Crutch” debuted to the public on May 14th and serves fans a teaser for their upcoming album. This song is an excellent example of The Frights ability to blend lead singer Mikey Carnevale’s signature style with a heavy guitar tone. The Frights will be playing Riot Fest in Chicago this coming September. The Frights prefer to use Power Slinkys and Bass Super Slinkys. Night Verses have debuted a nine and a half minute long song titled “Phoenix IV: Levitation.” The song serves as a teaser for their upcoming album, From the Gallery of Sleep. The title is extremely fitting for the band, as they have become “Reborn” last winter, into an instrumental trio, following a parting of ways with vocalist Douglas Robinson. From the Gallery of Sleep will debut June 29th! Check out their Facebook page to find a show near you. Night Verses prefer to rock with Paradigm Powers and Bass Power Slinkys. It’s not very often that you see an organic view of a band like New Found Glory recording a new track. That’s exactly what you get with the Official Music Video for “Heaven Sent” from New Found Glory’s album, Makes Me Sick Again. Makes Me Sick Again is a re-release of the 2017 album Makes Me Sick. Released on May 28th, 2018 Makes Me Sick Again offers fans three new songs from the original release. The video offers an intimate view of New Found Glory. From making M&M pancakes on a Hibachi Grill to awkwardly dancing around each other while recording, you can see that this band is still humble and having fun. New Found Glory utilizes Skinny Top Heavy Bottom Slinkys and Bass Regular Slinkys. All Time Low debuted their new song “Everything Is Fine” right before they head out on their Summer Tour. The Summer Ever After Tour’s first leg begins August and features seventeen different shows throughout the East Coast of the United States. Check out their new song below! All Time Low prefers to play with Beefy Slinkys and Bass 5 Power Slinkys. UK based Ernie Ball family member Moose Blood recently dropped a surprise EP titled, You’re All I Need. 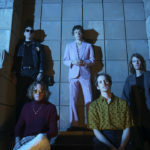 The EP comes ahead of a string of UK dates and features acoustic versions of tunes from their latest album release, I Don’t Think I Can Do This Anymore. Check out the stream below and tour dates here. 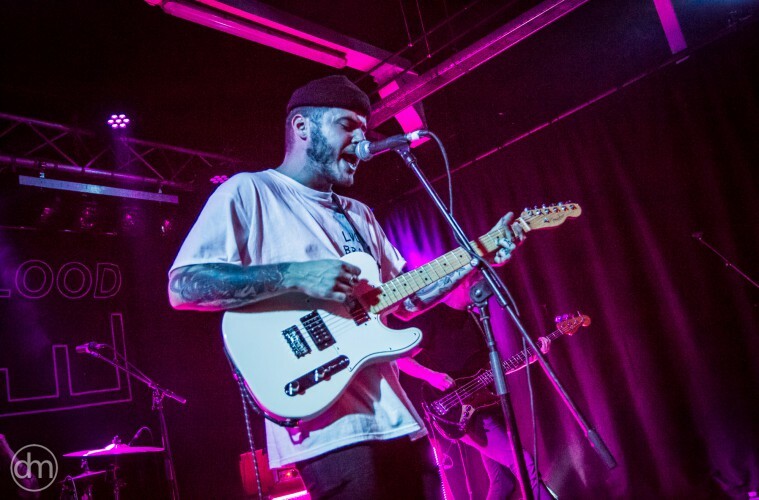 Moose Blood play Regular and Power Slinky guitar strings as well as Regular Slinky Bass strings. Who knew a Xerox machine could still be relevant and fun these days? Apparently, Culture Abuse knew. The Bay area group released a new video for their track “Dip” which features the guys taking a sort of “DIY Punk Zine” method to their filming, culminating in a pretty unique assembly of black and white clips. “Dip” is off the band’s album, Bay Dream, which arrives June 15th via Epitaph Records. Check out the video below and stay up-to-date on the band’s happenings here. Culture Abuse play Paradigm Power Slinky and Regular Slinky guitar and Super Slinky bass strings. 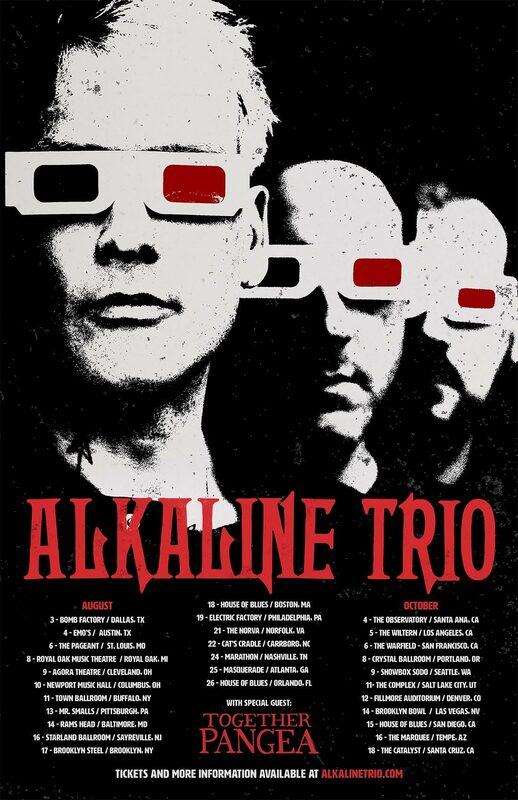 While Matt Skiba may be getting a lot of attention as the newest member of blink 182, his first and main love, Alkaline Trio, is still alive and well. And to everyone’s surprise, they just announced a full U.S. tour. The trio will be kicking things off in Dallas, TX this August and will be hitting a total of 29 dates before completing their run in Santa Cruz, CA. The guys will also be bringing along Ernie Ball players, Together Pangea. Check out the image below for the full tour and grab your tickets here. Alkaline Trio play Light Gauge 11-52 custom strings, Paradigm Regular slinky, and Regular Slinky bass strings. 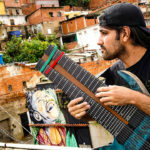 Together Pangea play Regular Slinky guitar strings and Hybrid Slinky Flatwound bass strings. Less Than Jake and Reel Big Fish have announced a co-headlining U.K.tour this Fall. 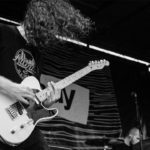 The punk-ska bands will be traveling throughout both Ireland and England after they finish up traveling with the Vans Warped Tour in the U.S. this Summer. Check out tickets and dates for their U.K. tour through Ticketmaster. Less Than Jake play Regular Slinkys and Bass Super Slinkys. Reel Big Fish prefer Power Slinkys and Regular Bass 5 Slinkys. 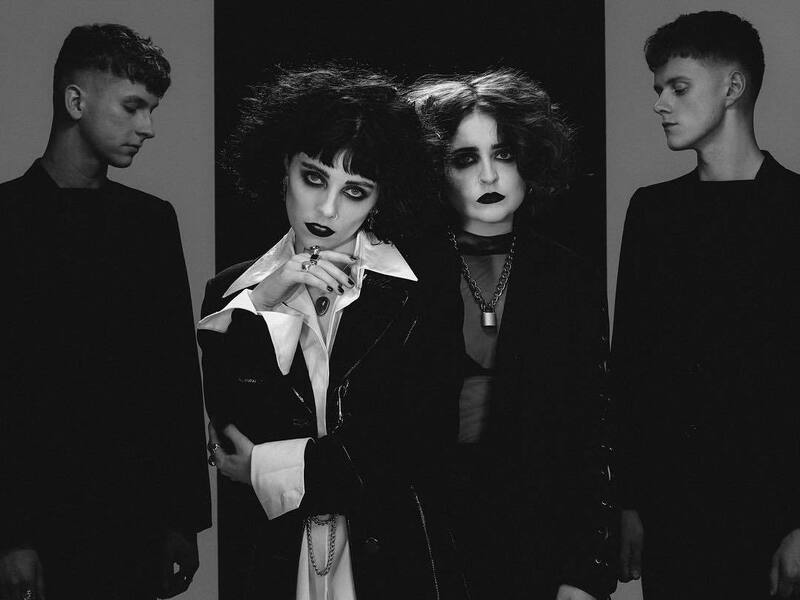 English indie-pop group Pale Waves are hitting America this August on the tail of their recent EP release, All The Things I Never Said. 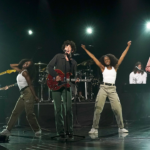 The band will be headlining the North American tour as well as a handful of extra festival dates, kicking off at Chicago’s Lollapalooza festival this August. The band will also be joining other Ernie Ball artists sporadically including Walk The Moon, AWOLNATION, Nathaniel Rateliff & The Night Sweats, Manchester Orchestra and more. Check out the full list of dates for the tour. Pale Waves play Regular Slinky guitar and Regular Slinky bass strings.